In 2009 the Rotary Club of Stranraer surveyed and constructed the Loch Ryan Coastal Path. This fine 12-mile path from Stranraer to Glenapp has become very popular, and now connects the Ayrshire Coastal Path to both town and the Southern Upland Way. Fired with enthusiasm and ambition, Stranraer Rotary has now created a 24-mile Long Distance Route from Mull of Galloway, which links up with and incorporates the Loch Ryan Coastal Path to form the 58km (35 miles) Mull of Galloway Trail. Bridges, gates, and fences are now in place, and with only the new Information Boards to be installed, the Trail was opened in August, 2012. 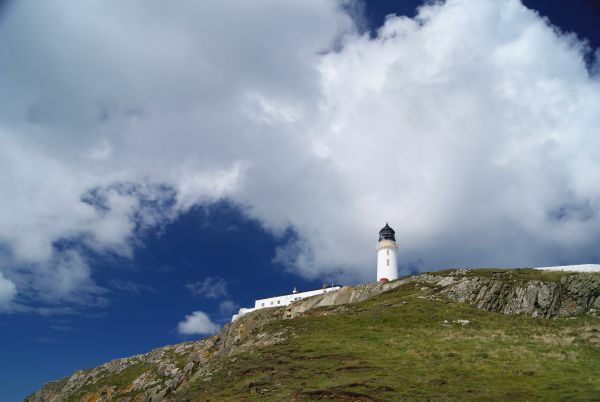 Starting at the Mull lighthouse, with fine prospects of the Isle of Man and the Mountains of Mourne, the new Mull of Galloway Trail travels up the sheltered eastern shore of the Rhinns, with great views over Luce Bay to the Machars and the distant Galloway Hills. Crossing the Southern Upland Way near Stranraer, it then follows the existing Coastal Path along Loch Ryan, with its fascinating WW2 and rich ancient history, before rising up on to high moorland with superb views of loch, sea, and hills. Route direction and galleries are on the Stranraer Rotary website below. The completion of a trail from Stranraer to the Mull of Galloway – the most southerly point in Scotland - enables a walk from there to Skelmorlie in north Ayrshire using the Lochryan Coastal Path (11 miles) and the Ayrshire Coastal Path (100 miles). With links to other paths it will be possible to walk to Cape Wrath on the north west point of the Scottish Mainland. The trail is part of the Scottish section of the International Appalachian Trail (www.iat-sia.com) and also connects, near Stranraer, with the Southern Uplands Way across to the east coast.